The three-dimensional star is one of our favorite no-solder projects. 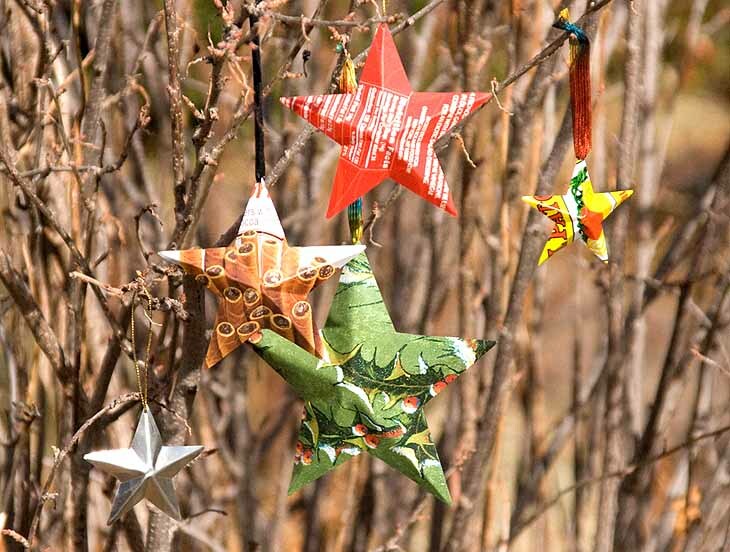 They make great tree ornaments, hang them from mobiles or in your window, or use them as parts of other projects. We’ve provided different sizes for you to choose from, or you can resize them to suit.